Yesterday we had yet another example of a story being promoted as a bombshell revelation about Trump and Russiagate, only to be retracted soon afterwards. CNN ran a story claiming that Donald Trump received a web address leading to Wikileaks documents on September 4, 2016 and later corrected the date to September 14. This is quite significant as the information was made public by Wikileaks by the time of this email on the fourteenth. 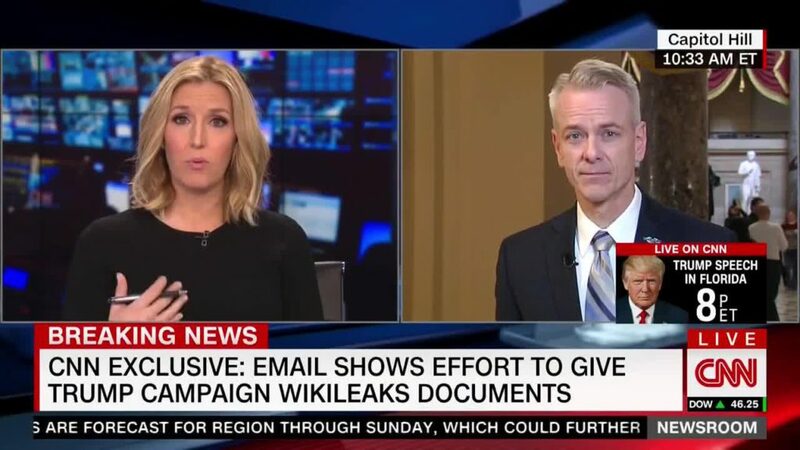 Instead of showing collusion with the Trump campaign receiving secret information from Wikileaks as CNN’s story suggested, all they received was a web address to information which had already been released to the public. CBS and MSNBC were making the same claims of this being evidence of collusion until the story was retracted. In November there was the bombshell that Russia had sent money to its embassies marked, “to finance election campaign of 2016.” Rather than evidence of rigging the US election, it turned out that this money was to fund voting in the Russian election by Russian citizens living abroad. The claim that seventeen intelligence agreed that Russia was responsible for hacking the DNC continues to be cited by Democratic partisans long after it was withdrawn, and despite the lack of any evidence being presented by those in the intelligence community who believe this. Pro-Clinton conspiracy theories are increasingly basing their arguments on claims of secret intelligence which nobody can verify. Other questionable stories include the Russian web site which, instead of trying to influence the election, contained pictures of puppies. The Congressional testimony showed how ridiculous the entire argument was that Russia influenced the election by using Facebook and Twitter. It was revealed that Russian-purchased Facebook ads accounted for “less than 0.004 percent of all content — or about 1 in 23,000 news feed items” on Facebook. Over half the ads were not even seen until after the election, and many had nothing to do with promoting Trump over Clinton. The biggest success attributed to Russia on Facebook has been to get 5000 to 10,000 people to turn out for a rally–a rally protesting against Donald Trump after the election. The impact on Twitter was not any more significant. The largest of the alleged Russian troll pages had 25,045 followers at its peak, and the others had far fewer. Many of the Russiagate claims are are looking no more valid than the claims of WMD in Iraq which precipitated that war, or the lies which the United States has used to become in wars elsewhere. This is very risky when applied to a nuclear power–where neoconservatives have also desire to seek regime change. While Donald Trump very likely has had illegal financial dealings with Russia, and the campaign did seek to obtain information on Clinton from Russia, there is no evidence either of actions by Russia which altered the election result, or of active collusion during the campaign. Even if such evidence should arise in the future, it is clear that Democrats were making such claims without evidence at the time. As was revealed in Shattered, Hillary Clinton devised a strategy of blaming others, including Russia, for her loss within twenty-four hours of losing. The claim that Russia affected the election result was largely based upon the Steele Dossier. Clinton and the DNC had covered up their role in paying for this report for months, casting doubt on its reliability. I suspect that Clinton’s claims that Russia was responsible for her loss continue to receive credibility from much of the media because many are unwilling to believe that Donald Trump could have beaten Hillary Clinton, despite all the evidence that Clinton was an extraordinarily weak and unpopular candidate long before the election. Their personal biases might have led to these repeated examples of journalistic carelessness in which they ran with stories which seemed to confirm their suspicions without doing sufficient fact checking. Retracted stories with false information continue to be cited by Democratic partisans. Posted in Blogs & Social Media, Donald Trump, Hillary Clinton, Iraq, News Media. Tags: Donald Trump, Facebook, Hillary Clinton, Iraq, Jared Kushner, Michael Flynn, Russia, Shattered, Twitter, Wikileaks, WMD. RSS feed for comments on this post.. TrackBack URL.